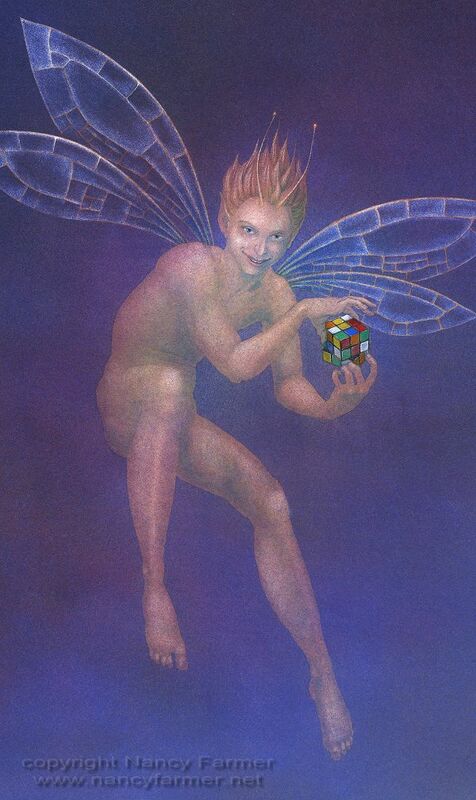 I always thought there was something a little demonic about Rubik's Cubes. They are not of this world, and I'm quite sure that if twisted just so they will open up whole new dimensions. 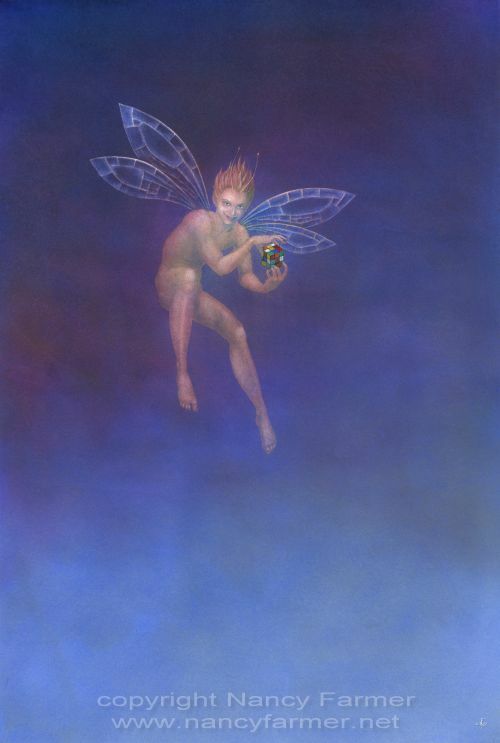 They probably shouldn't be allowed, especially in the hands of such a mischievous -looking fairy.